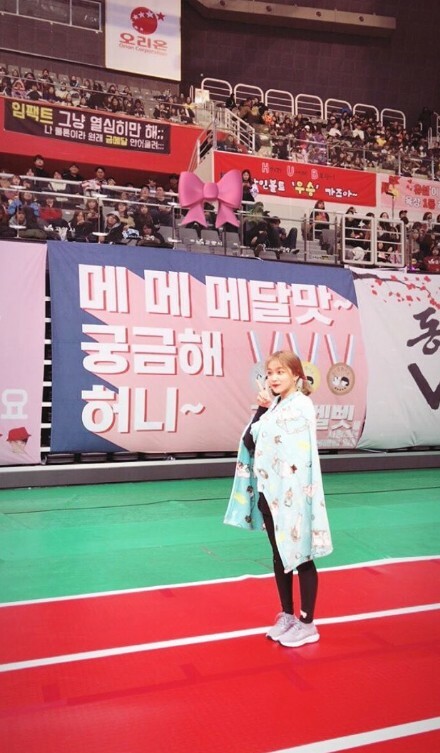 Yeri�thanked her fans for all the love. 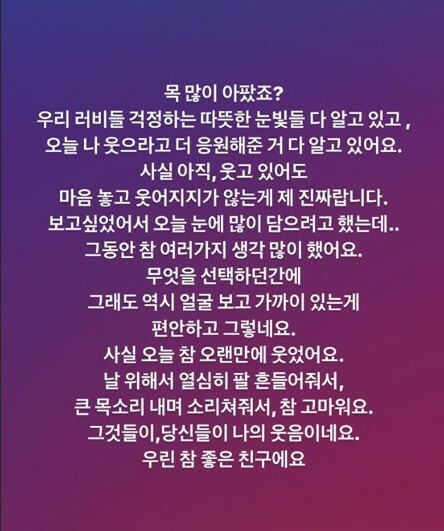 She posted a photo of herself and a message as an Instagram Story�on Red Velvet's official account. She wrote, "Did your throats hurt a lot? I know all the warm concerns from the fans, and I know you cheered a lot so I can smile. To be honest, I still can't smile comfortably yet even if I'm smiling. I wanted to see you as much as possible because I missed you.. I thought about a lot of things recently. But no matter what I choose, I realized it's the most comfortable to see you up close. To be honest, I laughed today for the first time in a while. Thank you so much for waving at me and yelling loudly for me. Those actions, and you, are my smile. We are good friends." 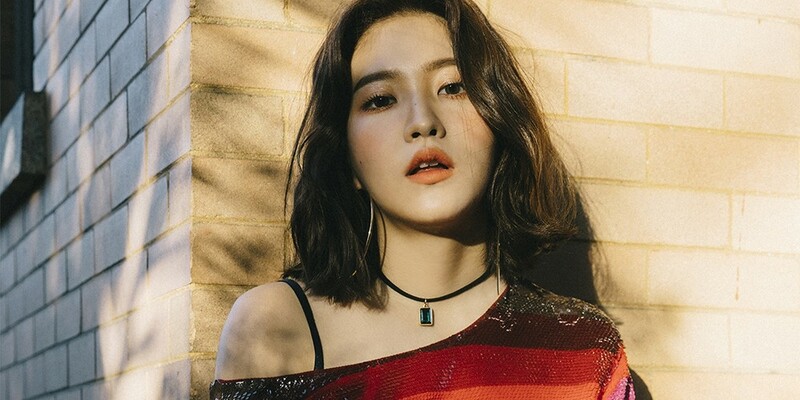 Hope Yeri feels back to her 100% soon.